Size of this preview: 376 × 599 pixels. Other resolutions: 150 × 240 pixels | 301 × 480 pixels | 376 × 600 pixels | 897 × 1,429 pixels. 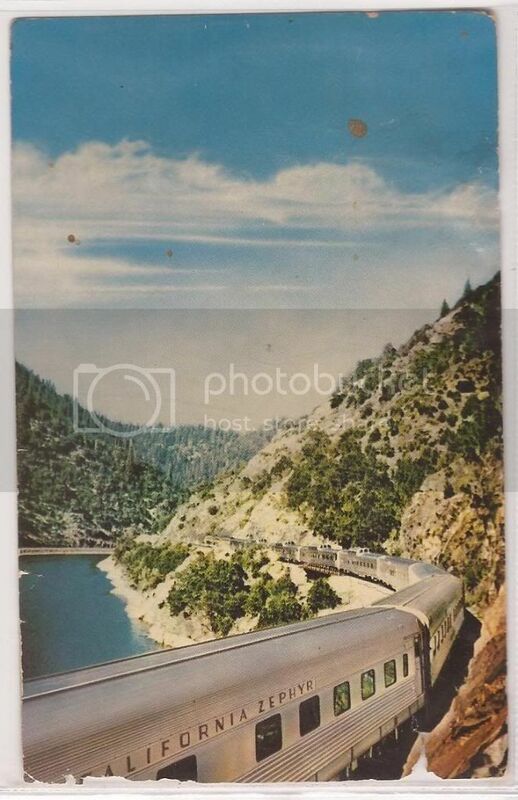 Postcard photo of the Chicago, Burlington and Quincy train, California Zephyr, in Feather River Canyon.
. The Amtrak version of the train does not route through Feather River. 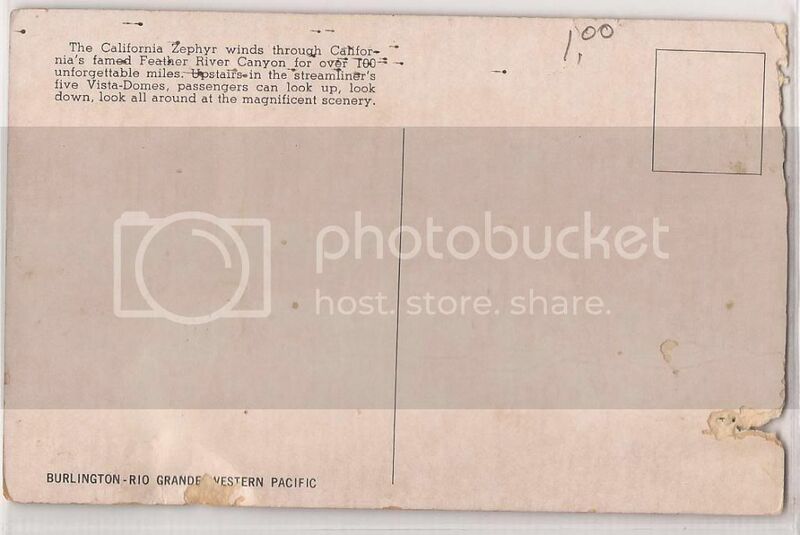 The card has no copyright markings on it as can be seen in the links above. Cards issued by the company after 1977 have copyrights on the photos.